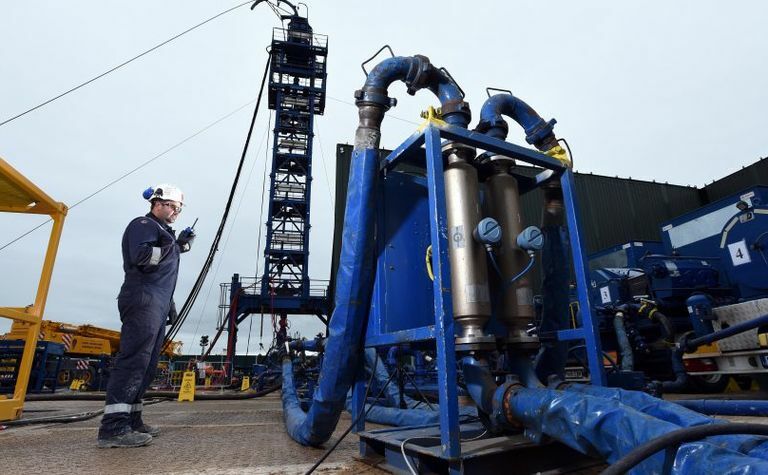 FLOW TESTS from the Preston New Road shale gas project in the UK have revealed “substantial gas of very high methane content” which is highly conducive to fraccing, however government regulations on seismic activity could prevent the gas from future development, according to AJ Lucas-backed Cuadrilla Resources. Last night operator Cuadrilla released the results of the first flow tests from the PNR-1 exploration well at the project in Lancashire, recording a flow peak of 200,000 cubic feet per day and a stable flow of 100,000cfpd from the Bowland shale. The highly positive results saw AJ Lucas shares jump 12% this morning to 19c per share. Due to limited fraccing of the well, the company estimated following completion operations could flow at up to 8 million cubic feet per day. "When compared to a typical North American 2.5km long producing horizontal shale gas well, with all of its stages fractured as planned, the data indicates a potential initial flow rate range of between 3-8MMcfpd," Cuadrilla said. The well has now been shut in and the operator will monitor pressure build-up.  Subject to factors such as capital and operating costs, the company said the possible flow rates would "demonstrate the Bowland shale as a world class" resource and that quality gas with a high methane content could be delivered into the local gas grid with minimal processing required. 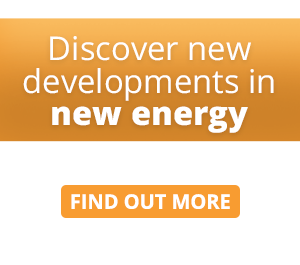 "This is a highly encouraging result and great news for the UK which continues to import gas in ever increasing quantities by ship and long distance pipeline, and has seen record demand for gas during the recent cold weather," Cuadrilla CEO Francis Egan said. "The natural gas beneath Preston New Road could help secure our domestic gas supply and flow directly into the local grid." However while the results and market opportunities are highly encouraging for Cuadrilla (51.25%) and its joint venture partner AJ Lucas (48.14% effective interest), development of the resource will depend largely on the UK government reviewing its stringent fraccing regulations which require operators to shut down works when seismic activity is recorded over 0.5 magnitude. 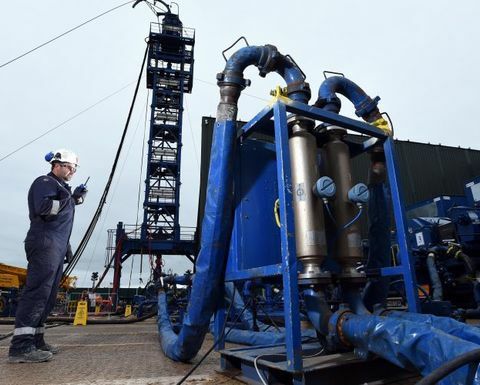 The well was the first horizontal shale gas exploration well to be drilled in the UK and as such has been the source of much criticism from environmentalists which claim the minor seismic events caused by fraccing are damaging infrastructure. After ongoing pressure from community groups and activists, when the UK overturned a moratorium and allowed fraccing it installed heavy regulations including a Traffic Light System for seismic activity which was highly criticised by industry. Cuadrilla has now applied to the UK Oil and Gas Authority urging the regulator to review its system. AJ Lucas chairman Phil Arnall said he was very encouraged by the results of the PNR program despite "frustrations and operating impediments" of seismic regulations imposed by the UK government. "Work to date has proven a very large gas resource with outstanding rock quality for fracturing, the flow of gas to the surface with minimal proppant injection and, importantly, the quality of the gas extracted," Arnall said. "We support the operator's focus on working urgently to amend the metrics in the Traffic Light System to allow completion of this phase of the program and progressing the plan for commercial development of the tenement." The joint venture acknowledged it would require further production testing and development of the well before considering commercial development. Should government restrictions be amended or preferably scrapped, Cuadrilla will work-over PNR-1 to condition the well for further fraccing and commence fraccing of its second well PNR-2. AJ Lucas was trading up 12% at 19c per share. The company has a market cap of A$127m.